Finding the perfect wedding gown can quickly change from exciting to tedious, but if you start your search with the right style in mind it can make all the difference! Even though you might have a particular design in mind, you need to keep in mind if the style is suitable for your figure. Pear-shaped ladies tend to have wider hips and thighs and are smaller in the chest area. Finding the right dress for this body type is really about finding a design that creates a balance by drawing attention upward to the upper part of the body. Off-the-shoulder dresses are a fantastic option as they draw attention to the beautiful décolletage area. Empire and A-line designs work best for the bottom half of the dress as they draw attention away from the hips and legs, creating a beautiful silhouette. It might be a pain to find well-fitting skinny jeans, but hourglass figures were made to look stunning in a wedding dress! The beautiful curves of this shape have a tendency to look red-carpet ready in the right design. A mermaid wedding dress looks absolutely spectacular on these figures, as it creates a silhouette that draws in at the waist, and accentuates the hips and bust, showing off all the best assets! If a tight fit around the middle is not what you are looking for, ball gown styles also look fantastic for this shape. The petite figure is often overlooked when discussing shapes for dresses – wedding or otherwise. The design elements that work well for this type of figure apply whether curvy or slim. V-neck bodices are one of the best secret weapons for a petite figure as it helps elongate the torso giving the illusion of height. A-line styles that draw in at the waist help draw attention to the waist and bust, but it’s essential to avoid a full ball gown style as a petite figure can get lost in it! Plus size figures are one of the easiest to find styles that work. Whether you embrace your gorgeous voluptuousness or want to draw attention away from it, there are plenty of designs out there that will effortlessly meet your needs. A-line wedding dresses are an easy pick for plus size wedding dresses as they cinch in at the waist, flare out a little at the hips, and draw attention to the décolletage. For a more fitted style, a mermaid wedding dress achieves the same, but with a tighter accentuation of your best assets! If your figure is basically the same width around the shoulders, hips, and waist, then you definitely have what is known as a rectangle or athletic figure. Athletic figures deserve a bit of showing off as so much time has gone into getting them looking that way! Once again, the ever-popular A-line style is a great fit for this figure as it creates a bit of definition in the waist area. If you are looking for something a little looser, try looking at empire style designs. Final Words: With the tips mentioned above, you will now be able to focus on the most appropriate wedding dress to wear on your special day. Having said, once you found the best and perfect dress, choosing the accessories to go well will be so easy. You can now choose whether you will opt for a fascinator or a wedding veil; high heeled wedding shoes or flat shoes; as well as the need to wear a petticoat or not. 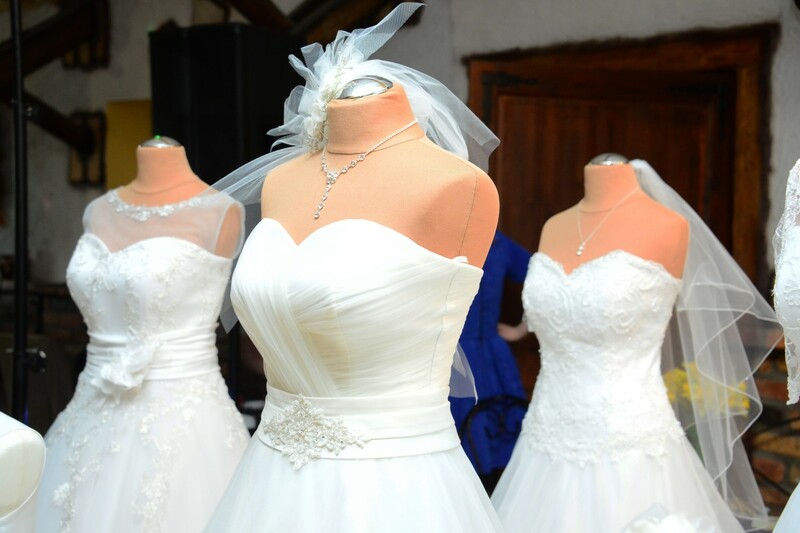 Choosing your own bridal gown is one of the most stressful part when preparing and so once everything is finalized, you can now relax and stay out of stress whilst doing the other minor preparations until the grand day. Join the discussion on this topic with Trash Talk HC by visiting our contact page.